There was a flip chart hanging around one of my office meeting rooms recently and on it was written the question: "What is blocking you from becoming the best version of yourself?" At first I paid it no attention, it was a question that I had heard several times in different Christian settings over the last couple of years. But the more I looked at it, the more annoyed I felt. Patrick J Adams' character in Suits 'fakes it to make it'. I took to researching this idea a little more and to be honest I felt pretty confused. Lots of the articles that I explored were really brilliant and offered fantastic and positive advice. Time's 'How to be the best version of yourself' article by Ken Mazaika offers tips like, 'Accept help from others,' and 'Celebrate the small wins', all things that I would wholly advocate. So why was I so uncomfortable? Having spent two years working on our new book The Power of Belonging with Rob Waller, I know I have become super-sensitive to issues of true belonging. Since I've written a book based on the premise that many of us feel like a fraud, at least some of the time, you can see where I am coming from. It wasn't the content that I found shallow, it was the very principle that there might be virtue in creating a 'version of you'. I wondered how we had become so pragmatic about dialling up 'different faces in different spaces'. But then it struck me that it's a natural progression in a culture that has advocated the 'fake it to make it' mode of achieving. 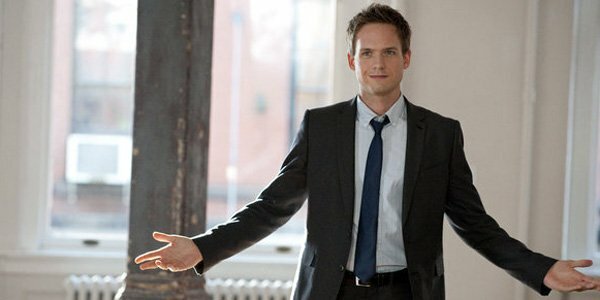 Before I sound too self-righteous, I was totally sucked in by college dropout Mike Ross (Patrick J Adams) in Suits Series 1, who becomes a competent legal associate despite having never attended law school. We love a fantasy in which all of the struggles and challenges of life are edited out and we are living the dream without any of the downside. But how fulfilling is it really? The prerequisite to our belonging is our authentic presence, since you cannot belong if you cannot be known. If you do 'Fake it and make it', you land in a gilded cage where your material success is founded on a relational deceit. To succeed requires you to maintain the fraud, but to belong requires to do the opposite. If there is any virtue in 'Fake it to make it', surely it is the simple acknowledgement that we are faking it and that we have some greater understanding of who we really are. The 'version of you' idea is altogether more malign, because it suggests our duplicity is credible: that there are innumerable versions of us being authentic and human. Which one of these belongs here is anyone's guess, since life becomes a terrifying matrix of interchanging relational combinations that we test for best fit. [Belonging]In a culture marked out by 'loneliness in plain sight' belonging has never felt so urgent and yet seemed so far away from people's experience. The same could be said for God, but one is the remedy of the other. We cannot offer God a 'version' of ourselves since he knows us truly, and despite knowing us better then we know ourselves, he loves us and claims us as his own: 'You are mine' (Isaiah 43:1). If we are ever going to belong in life, it is going to be because we risked really showing up. That means letting go of 'versions of you' and all kinds of fakery for the sake of success. Just as our belonging to God is established on our true selves, so is our relationship with each other. Life is messy and full of down sides, but I would rather risk being known, than live behind a version of me. 'The Power of Belonging: Discovering the Confidence to Lead with Vulnerability' is published by David C Cook. For more information or to buy see www.powerofbelonging.com. Rev Will van der Hart has been a priest in the Church of England for 15 years and is currently pastoral chaplain at Holy Trinity Brompton in London. He is a director of the Mind and Soul Foundation.